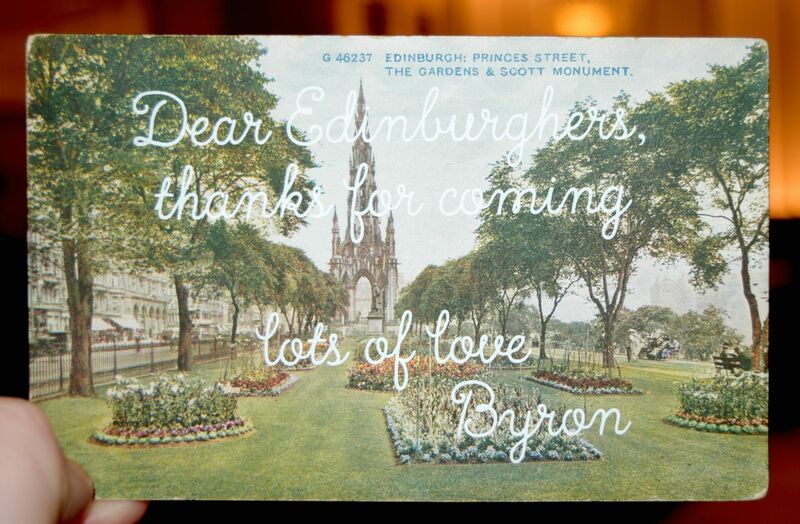 If you’re local to Edinburgh, chances are that you’ve noticed the new Byron which has just opened up on Lothian Road. 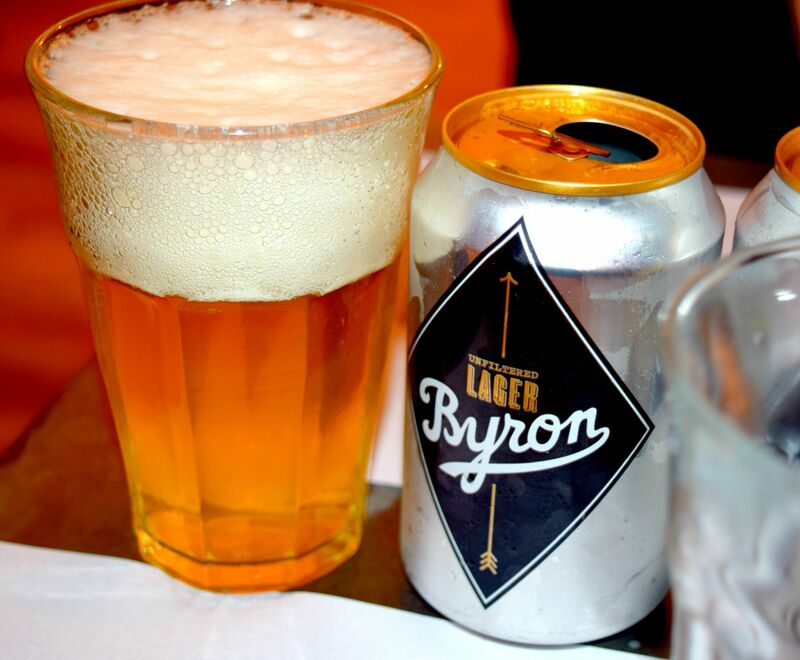 Considering how often I pop into the North Bridge location for a quick burger, you can imagine how excited I was when I was invited to try out the new restaurant, and learn all about the incredible craft beers that Byron serve. So, we tucked ourselves up into a corner of the new restaurant (which is absolutely gorgeous by the way, all exposed brick walls and quirky details) and got ready to learn all about brews. To be honest, I’m not the biggest beer drinker – I’ve never even ordered a pint, so it felt like perfect timing. As if a night full of beer and burgers didn’t sound great enough, there were representatives from BrewDog and Sierra Nevada to talk us through the pairings. 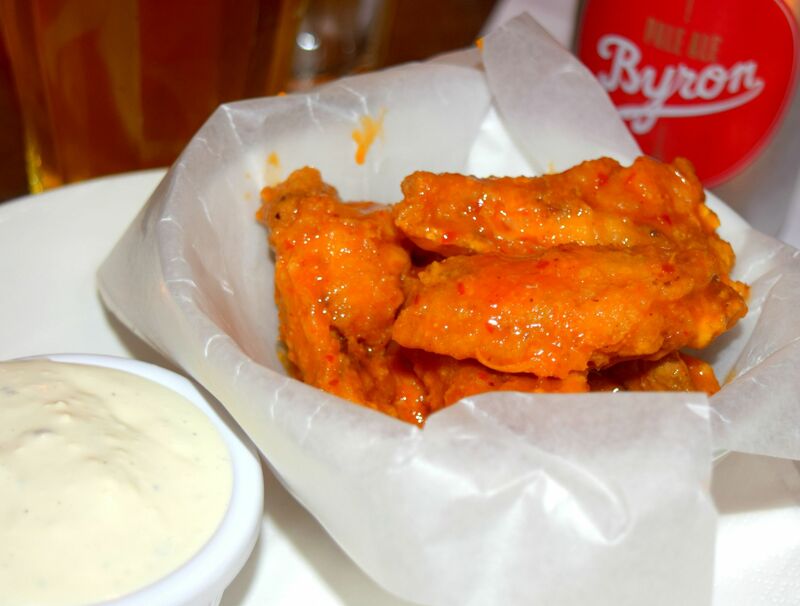 The night started out strong with starters of spicy buffalo wings. I’ve never really felt the need to order these before, but they were an incredible discovery. Lightly battered and covered in the pleasingly spicy and vinegary Byron Hot Sauce, we happily dunked them into the accompanying blue cheese dressing whilst learning all about Byron’s beer beginnings. 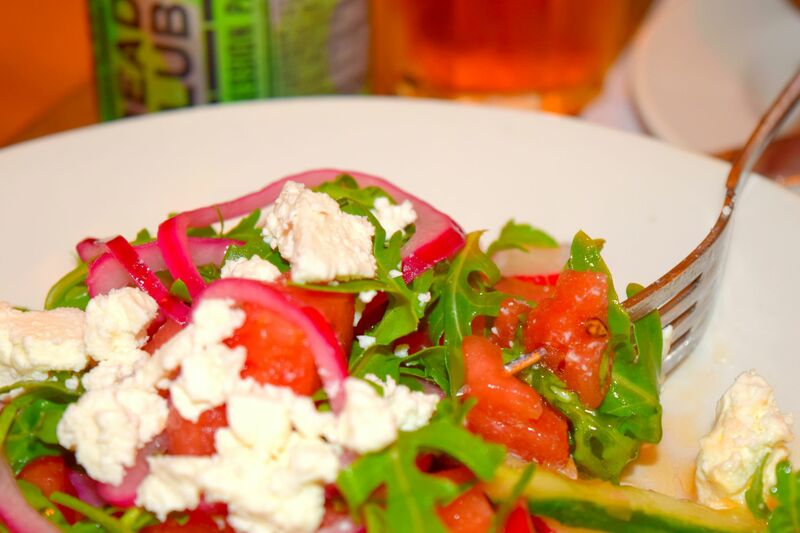 The second starter we tried was the surprisingly delicious Watermelon and Feta salad. I’m not going to lie, I’ve made this salad about three times at home already, as it’s just about the most summery dish you can imagine. 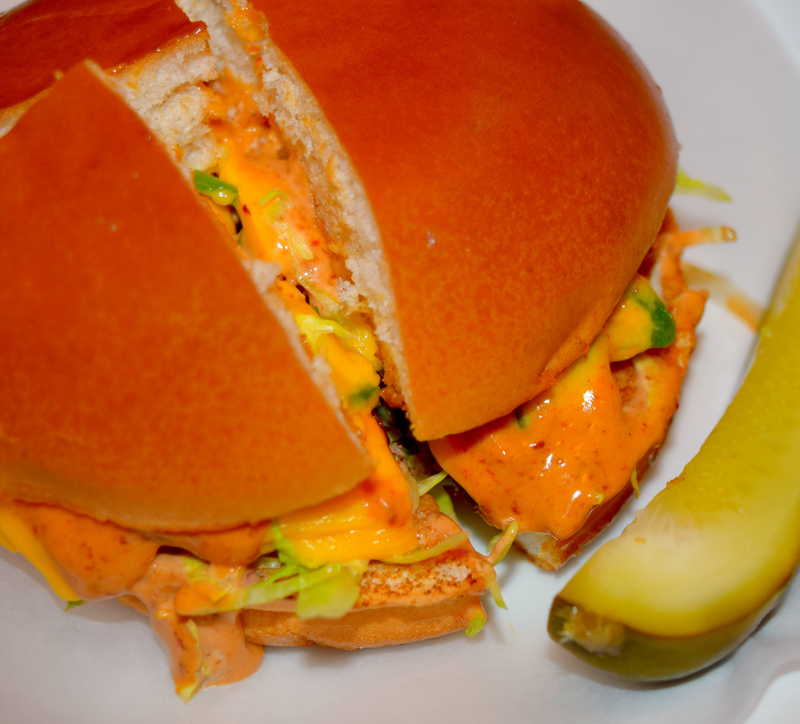 Then came the burgers; Byron served us two of their most popular from the menu – The Chilli and the Smoky. The Chilli (above) was first up, and was a rather mouth-watering amalgam of meat, jalapeños and chilli mayo. It was pretty much as hot as I can handle, but it was a nice change from my regular choice. Then came The Smoky. In something of a bad blogger move, I didn’t take a photo – but this might be a new Byron favourite (although I still miss their Bunzilla). The mix of crispy onions, bacon and BBQ sauce was divine, and I’m already planning a return trip to grab another. To go with the burgers, we were treated to what is pretty much the most extravagant side on the menu! 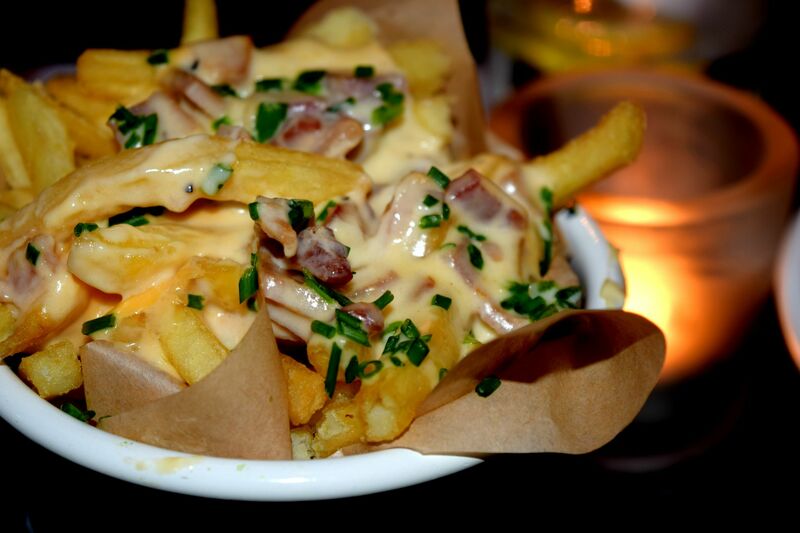 The Cheese and Bacon Topped fries are something of a (seriously) guilty pleasure. Not many places in the UK have cottoned onto cheesy fries, but these were pretty much perfection. 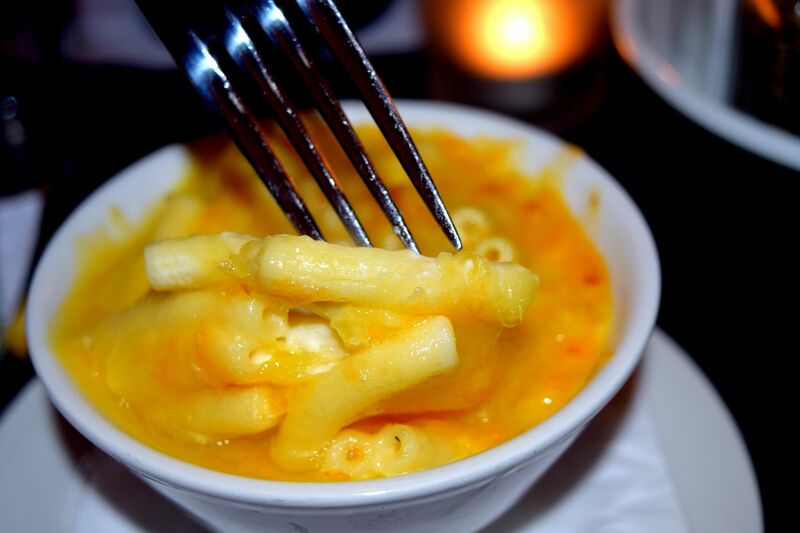 Then, as something of a surprise, we got a bowl of Macaroni Cheese. Both of us were absolutely stuffed by this point so we only really could manage a forkful, but it was everything you could hope for – melty, cheesy goodness! We finished the evening with perhaps the most unique deserts you could imagine – bourbon spiked Irn Bru Milkshakes. Honestly, I was dubious at first – I’m not the biggest fan of the orange drink, and I would live on Byron’s Vanilla hard shakes. Happily though, these ones were a delight – not too heavy on the ‘bru, they were the perfect way to finish the evening! 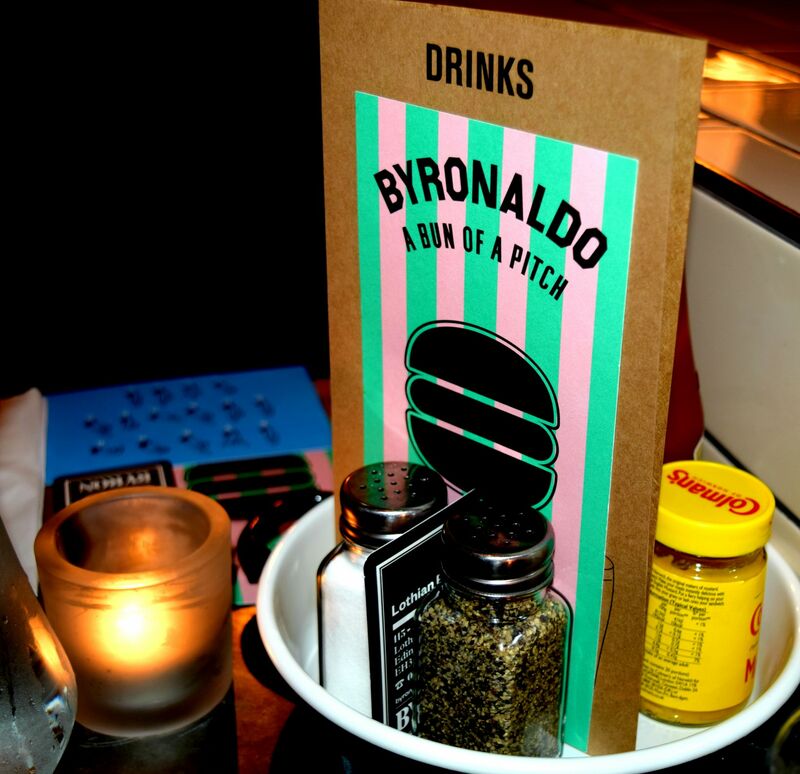 If you’re in Edinburgh, I would highly recommend heading over to Byron for one of their rather delicious burgers (and of course, some of my new favourite sides). The new Lothian Road location couldn’t be more central, and it’s an absolute gem of a space! 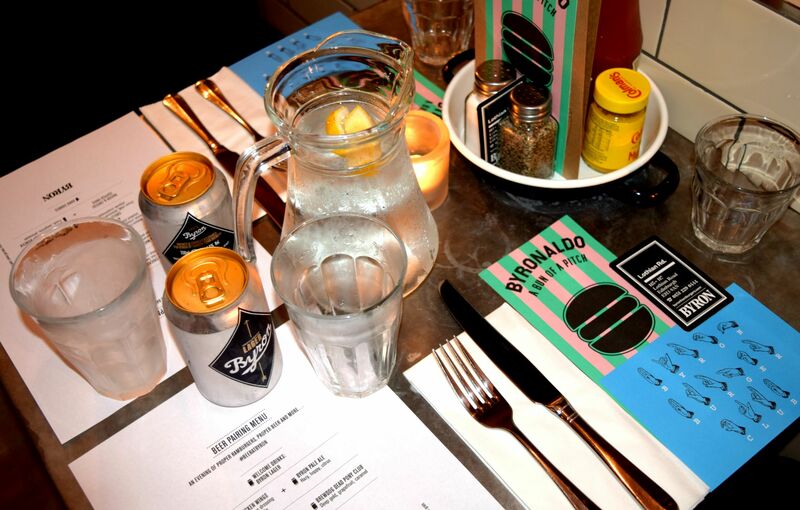 I had an absolute ball learning all about the different types of beer on the menu – it’s so refreshing to see how much effort and care they put into the menu, and who knows, I might even order one the next time I pop in!